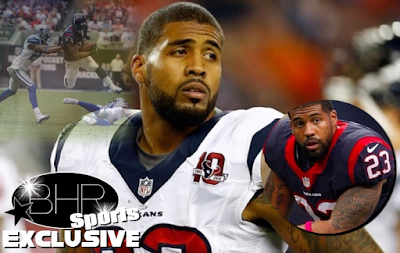 BHR Hollywood Reports........What started as a seemingly harmless back-and-forth conversation about sneakers between ex-NFL star Arian Foster and some college students turned into a heated confrontation and near scrap when one of the students hurled the N-word at the former star running back. According to reports it all went down at a hot dog stand this past weekend at 3 a.m. in Houston, where Foster, his brother, Abdul, and father, Carl, were having some innocent fun speaking with college students about their sneakers. That talk escalated enough for one of the students, who says is African-American, to spew at Arian, "You're not even relevant anymore, n****." Abdul was pissed -- and tried to confront the insult hurler (who we're told is black). Adbul then got physical with 2 people and that's when Arian and Carl rushed in to break the whole thing up. 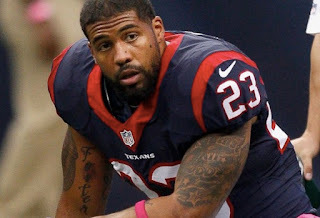 At one point, Arian says to one of the students, "F**k you, n***a." 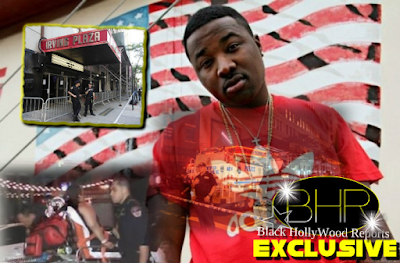 Witnesses told us someone threw a hot dog in the melee ... but it was broken up before things escalated into a brawl and everyone left when someone threatened to call police. We reached out to Arian's camp -- they had no comment.